Rougepout Beauty: Leonor Greyl - Impressive Hair Can Be Yours! Leonor Greyl - Impressive Hair Can Be Yours! Leonor Greyl is a name that I will now recite to any friend asking for a great pre-treatment product for hair, it is transforming, I'm talking, wow, I'm talking Rapunzel, without the tower, just hair that unfurls in all it's glory. I honestly had never seen my hair respond so quickly to a product, one use and I was swishing my locks all over the place. L'Huile De Leonor Greyl my follicles salute you. Hair today gone tomorrow, the way to fabulous hair has been this pre-shampoo treatment, applied to my hair from the ears down. I brush through to ensure it is evenly spread throughout my hair. Having long hair it takes out all the tangles and knots, the texture alters but wait until later, oh yes, flexibility and softness beyond belief. If you swim in either the sea or a pool, this is great to protect the hair from salt and chlorine, perfect when lazing on a beach in the hot sun, this stops the hair drying out and keeps it hydrated, it will need to be reapplied of course after your dips in the water and throughout the day. For me, it has been a desert island discovery, how did I manage without it before? Coconut, jojoba, sunflower and hazel seed oils work to nourish the hair, every strand is coated, even then, you have no idea of the magic happening until shampooing. My initial use was a 10-minute application (it can be applied and left overnight for a thorough treat), through the lower lengths of my hair and then I shampooed with a Colour Specific shampoo, I find that my dyed hair can soon lose it's vibrancy without one. At the first addition of the shampoo I could feel the texture of my hair was different, it was soft and light, it felt healthy and there was so much of it, for the first time in so long it didn't feel weighed down by products, I felt I was taking part in a shampoo advert, my hair just felt so good. After wrapping it in a towel I left it heaped upon my head, hidden and awaiting the big reveal. I don't use a hairdryer, so I usually leave my hair wrapped up until it's at least not dripping down my back. 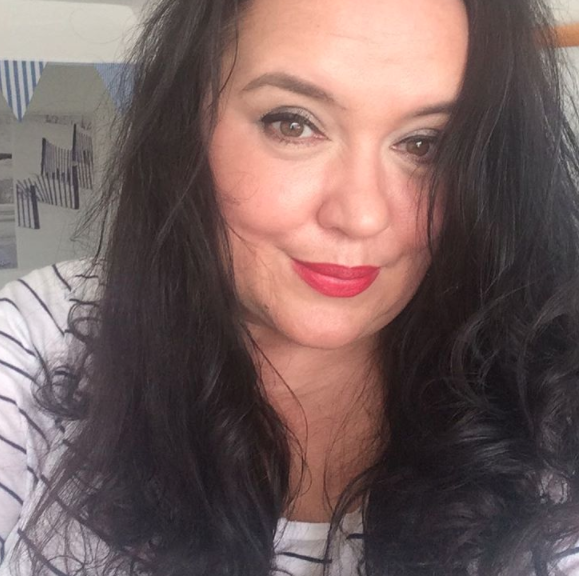 I'll be honest, it takes a lot to impress me in my mid nudging to my late forties, I've had the wow makeup moments, the great hair moments (usually at night when I'm not actually going anywhere at all, it happens to us all, right? ), the food that looks simple but my goodness you can't enough of it, generally desserts in my case, so, in a long winded way I unleashed my hair and wasn't ready for hair that I was sure wasn't mine, where did this brilliant barnet come from, even wet it was soft, swinging (my hair does not swing, it hangs but it does not swing), it was actually swinging! By the time it had dried, I actually couldn't remember in recent years it ever been as healthy, glossy or as 'swingy' - I even put a pic on Instagram just to share the L'Huille De Leonor Greyl. Look at it, I touched it all day, wafted it around and even ventured confidently into town doing that swishy, wafting hair thing girls do, when you know your hair is damn good. Amazing the confidence I felt from healthy hair. So, from Leonor Greyl who's talents with natural ingredients began in 1968, I give you L'Huile De Leonor Greyl - do not wait a moment longer, your hair needs this!